In this forum we bring you featured profiles of your favorite Transformers Characters. Here is where you can post and/or discuss video toy reviews and/or clips of your favorite transformers. Here is where you can discuss the latest movie news and past transformers movies. Feel free to join the fun and post on your favorite cartoon series! Everything from G1 to Transformers Prime, including the new series "coming soon" to the HUB network. Also join in on our G1 episode spotlight talkback discussions. Here is where you'll find everything else of Transformers! So sound off trooper and be heard. Here's where you'll find everything from 3rd party transformers! Transformers Combiner Wars Victorion 45% OFF TODAY ONLY! Transformers Generations Power of the Primes Deluxe Wave 1! Transformers Generations Liokaiser 50% off! Transformers Platinum Edition Liokaiser 40% OFF TODAY ONLY! 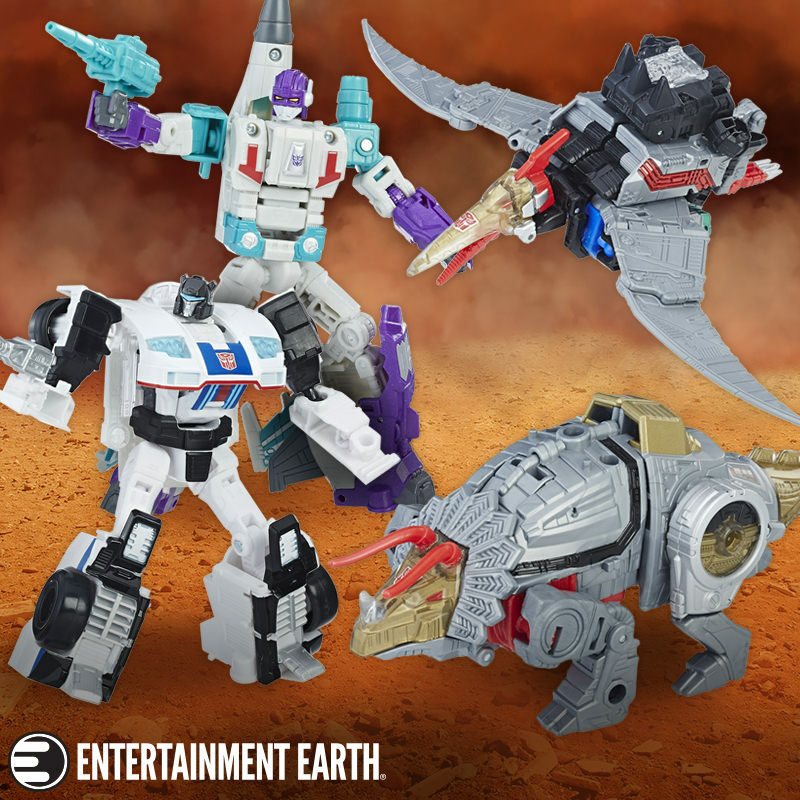 Transformers Titans Return Wave 3 Pre-Orders UP! Transformers Generations Titans Return Leader Soundwave! Titans Return 'Ravage, Rumble and Laserbeak' ORDER HERE!